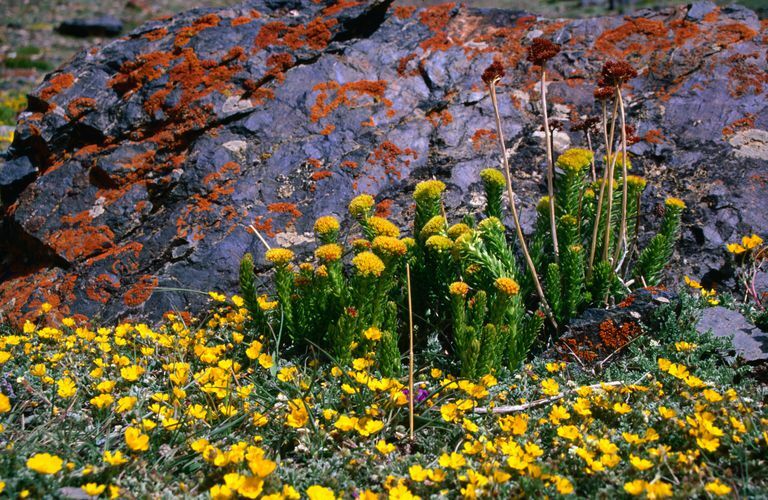 Rhodiola rosea is a root that grows in high-altitude regions, such as the Himalayas. It's also called golden root. Research has connected it to a wide array of beneficial effects. Anti-viral: studies show it alters activity in the immune system and may be an effective therapy against certain viruses. Antioxidant: antioxidants protect your body against oxidative stress and damage due to free radicals, which are essentially dysfunctional molecules that are tied to multiple illnesses. Anti-inflammatory: evidence suggests that rhodiola fights inflammation much like a class of anti-inflammatory drugs. Adaptogen: adaptogens are natural substances that help the body adapt to stress and normalize processes in your body, basically balancing things out. We don't yet have published research on rhodiola for fibromyalgia. However, it shares all of the above symptoms with chronic fatigue syndrome. Additionally, many, if not all, of the benefits mentioned above may help alleviate symptoms of fibromyalgia and chronic fatigue syndrome. Fatigue is central to both of these conditions. Stress, anxiety, depression, and memory deficiency are common problems as well. The three neurotransmitters it stimulates—serotonin, norepinephrine, dopamine—are all believed to be dysregulated in fibromyalgia and chronic fatigue syndrome. In fact, many of the drug therapies for these illnesses, such as antidepressants, are aimed at making more of these neurotransmitters available to your brain. These conditions both involve dysfunctional immune systems. Some research ties them to oxidative stress. Both are believed to involve inflammation. Stress is a common symptom trigger and research suggests dysregulation of stress hormones. Rhodiola is also shown to increase exercise capacity in healthy people. So far, though, we don’t know whether it's effective against the specific type of exercise intolerance of chronic fatigue syndrome, which is called post-exertional malaise. While we just don't have the research to say that rhodiola is effective for fibromyalgia and chronic fatigue syndrome, we do have a lot of evidence suggesting it may help with some of the symptoms and overlapping conditions. Be sure to involve your doctor, and possibly your pharmacist, in the decision of whether to try rhodiola. The recommended dosage of rhodiola is between 100 and 300 mg a day. Rhodiola isn't available in foods, so it has to be taken as a supplement. In addition to capsule form, it's available as an extract and in medicinal teas. Because it can have a stimulating effect, it's best taken early in the day. High doses are sometimes associated with feeling jittery and causing an increased risk of side effects. Rhodiola has effects similar to prescription monoamine oxidase inhibitors (MAOIs), so you shouldn't take them together. Taking rhodiola along with selective serotonin reuptake inhibitors (SSRIs) or serotonin norepinephrine reuptake inhibitors (SNRIs) may increase risk of drowsiness. It's unknown whether rhodiola can contribute to a potentially deadly side effect called serotonin syndrome. We don't yet know whether rhodiola is safe for children, or during pregnancy and breastfeeding. You doctor can help you decide whether rhodiola is right for you based on the potential risks and benefits. Chen TS, Liou SY, Chang YL. Antioxidant evaluation of three adoptogen extracts. The American Journal of Chinese Medicine. 2008;36(6):1209-17. Darbinyan V, Aslanyan G, Amroyan E, et al. Clinical trial of Rhodiola rosea L. extract SHR-5 in the treatment of mild to moderate depression. Nordic Journal of Psychiatry. 2007;61(5):343-8. De Bock K, Eijnde BO, Ramaekers M, Hespel P. Acute Rhodiola rosea intake can improve endurance exercise performance.International Journal of Sport Nutrition and Exercise Metabolism. 2004 Jun;14(3):298-307. Panossian A, Wikman G. Evidence-based efficacy of adaptogens in fatigue, and molecular mechanisms related to their stress-protective activity. Current clinical pharmacology. 2009 Sep;4(3):198-219. Pooja, Bawa AS, Khanum F. Anti-inflammatory activity of Rhodiola rosea - 'a second-generation adaptogen. Phytotherapy research: PTR. 2009 Aug;23(8):1099-102. Diagnoses Piling Up with Fibromyalgia & Chronic Fatigue Syndrome?